A few lucky people had no idea what they were actually purchasing when they bought black-and-white graffiti works on canvas from a street stall in Central Park for sixty bucks a pop. 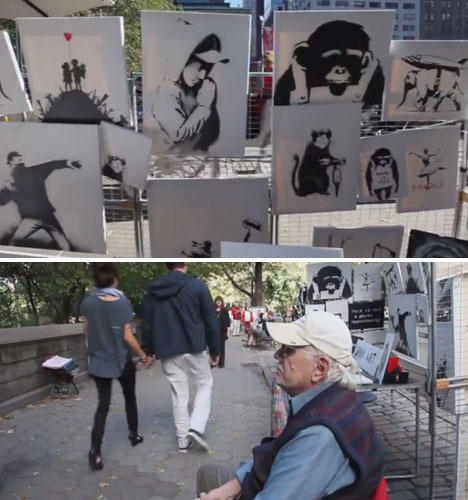 Those works of art are worth thousands of dollars each – because they’re Banksy originals. 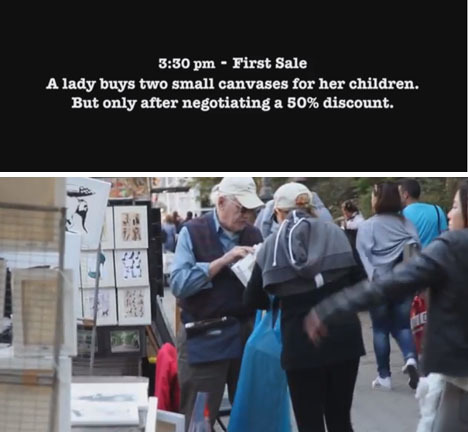 The elusive street artist held an unannounced sale in New York City on the thirteenth day of his ‘Better Out Than In‘ residency, and most people failed to notice the incredible bargain right under their noses. But don’t bother coming back tomorrow: this was one a one-day-only sale, and you (and everyone else) just missed it. That’s not only because the stall was manned by a bored-looking old man who sat around for four hours before making a sale. 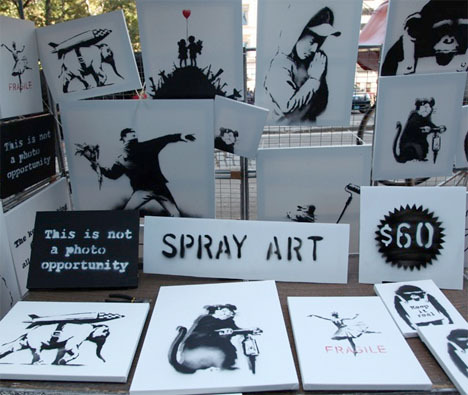 Banksy knock-offs can be found all over the place, and these canvases hardly stood out as anything different. But they’re signed, original, 100% authentic works of art worth as much as $30,000 a piece. 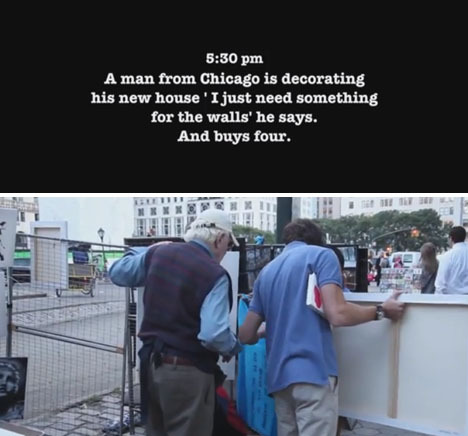 One guy, purchasing art for his Chicago apartment, walked away with four – we bet he’s happy about that decision today, if he even realizes what he has are originals (in which case one has to wonder why he did not buy more). Murals by the artist, removed from the urban settings in which they were painted, routinely fetch as much as half a million each, with one even netting $1.1 million. The clueless public who passed on these original Banksy canvases won’t get another chance – it was a one-time deal. Banksy will be in town for the rest of the month, adding to the stencils, installations and mixed media pieces he’s already put up during his time in the city. Those works include two mobile pieces, like a delivery truck converted into a garden, complete with a waterfall.